IT Managers or Directors play a critical role in defining your IT department and while it can be a tempting hat to allow another manager to wear there is some experience necessary to manage technical staff effectively. Several of our staff have made a career out of defining departmental strategies and metrics to ensure that technical staff are performing effectively and handling their duties appropriately. Work with one of our staff to ensure that your IT staff are meeting yours and industry expectations while saving yourself from having to burden one of your other staff or burden your payroll budget by hiring this position on before it is needed. Working through these challenges now will allow you to be more comfortable understanding when that position becomes an actual need. It seems like us IT guys have our own language. Trying to hire someone who speaks geek (when you feel your kids are better equipped at turning on your TV) can seem a daunting task. Let us take the worry out of this for you. We have to speak geek, assess geek, and correct geek every day. With over a decade of direct hiring experience, we’ve developed systems to allow us to assess technical personnel in ways that have shown us can get technicians who fit into your culture, who are capable of supporting your environment, and who are passionate about the right areas to ensure your technology stays relevant and up to date. Perhaps you have a technician already working for you and you just want to make sure that what you are doing lines up with best practices. We can work with whomever is handling your technology currently to get you comfortable or to prepare you to make a change. We don’t have any desire to change your current environment or organization to simply benefit us. This goes against what we believe that technology should do: be available to better yours and your customers experience. 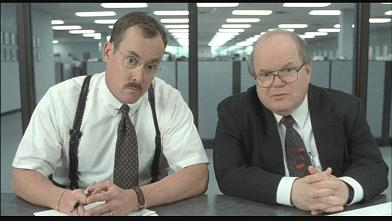 We have no desire to “be the Bobs” in your organization.